Front of the recipe card for Date Roll. 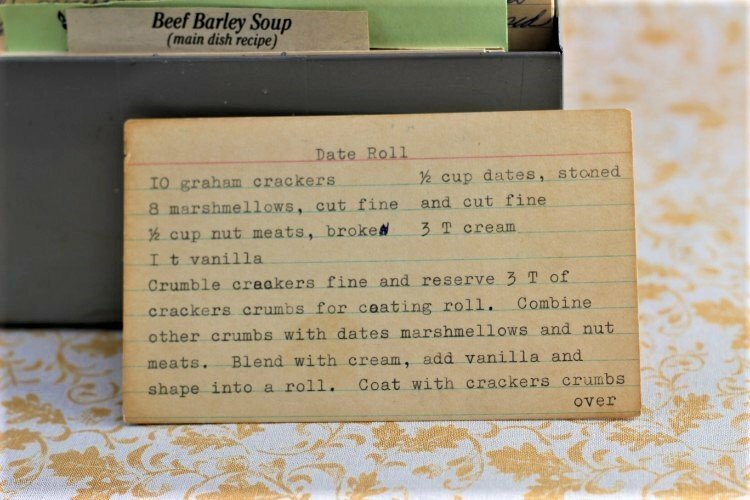 There are lots of fun recipes to read in the box this recipe for Date Roll was with. Use the links below to view other recipes similar to this Date Roll recipe. 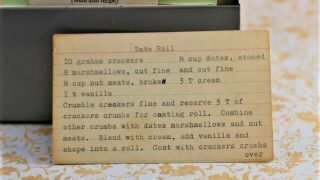 If you make this Date Roll recipe, please share your photos and comments below! Crumble crackers fine and reserve 3 T of crackers crumbs for coating roll. Combine other crumbs with dates marshmellows and nut meats. Blend with cream, add vanilla and shape into a roll.